Excellent teaching on the Bride of Christ. What does the Bible say about The Bride of Christ? This word will CHALLENGE YOU no matter WHERE you are in your walk! We are not prepared for that day. We MUST buckle down and become the people that he will welcome into that inner chamber to KNOW Him. 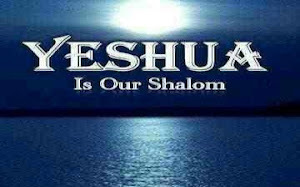 Thanking YHWH that He has tarried to give us more time to prepare ourselves for that great day! Prayers and Thanksgiving for Upcoming Hanukkah!